Brian is a graduate of the University of Cincinnati, with a Bachelor’s Degree in Construction Management. Brian serves as President of Cohn Development Services and oversees all projects in the development portfolio. His responsibilities include providing the strategic direction of markets we enter and exist in, as well as management of active development and execution of projects. Brian’s background includes nearly 20 years of Design-Build Development and Construction Projects. He currently also serves Cohn Construction Services in the management of Pre-Construction Services where is he provides strategy and estimating experience to better serve our customers. Brian brings a tremendous amount of experience to our team in industrial, healthcare and commercial construction and development. He has extensive experience overseeing the design and construction of surgery centers, urgent care facilities, concrete tilt up and precast concrete panel industrial and manufacturing facilities make him a unique strategic development partner. His education, experience and background brings a unique perspective to project approach and is able to counsel clients with a Developer’s and Owner’s mindset. 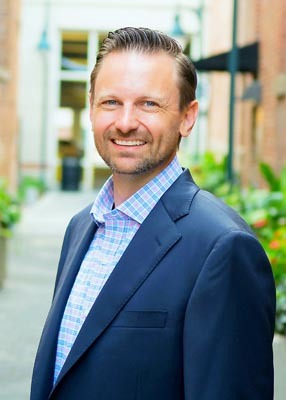 Brian maintains an active membership with local contractors’ associations, the American Society of Healthcare Engineering, a graduate of Financial Analysis for Commercial Investment Real Estate and Class of 2011 graduate of Leadership Columbia.